Sequential Numbering Stickers and Machines are used by all garment exporters to mark numbers on the buyers to avoid confusion regarding color variation. 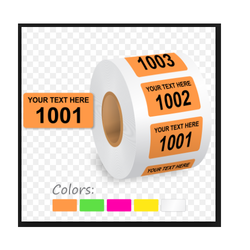 We offer labels for different purposes and of different variety: hard, medium, low, gum-like, ADH and PPH. These stickers are easy to use, accurate and durable. We also offer customized, special labels which will cater directly to the needs of our customers. Our company has a big range of the Sequential Numbering Labels. It is generally used by the garment exporters for marking the number on the buyers for avoiding the color differences. These are manufactured and designed for solving the whole range of the sequential numbering troubles. 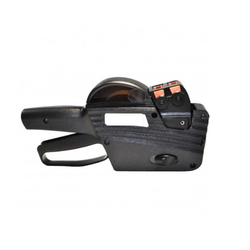 They are very easy for usage and very durable and accurate without any kind of confusion. These are customized according to the need of the customers. Our company offers a varied range of the Sequential Numbering Machine and that is used by the garment exporters. It is used for marking the number on the buyers just to avoid the color variations that may occur. The sequential numbering stickers are basically designed for solving the widest range of the sequential numbering troubles. These numbering stickers are very easy for usage and they are very accurate and durable. Looking for Sequential Numbering Stickers And Machines ?